Since 2001, Teresa Lizamore has been running Artspace as a platform to showcase young, talented up-and-coming South African artists. Mixing it in with some established modern contemporary art, Artspace really displays a great wide range of works to attract all tastes. 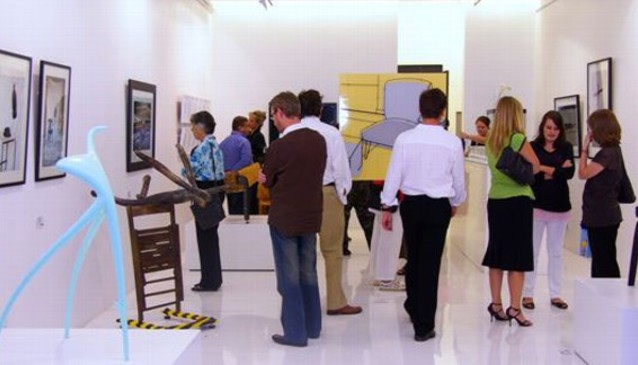 The reason behind the creation of Artspace was to provide a service to the increasing market of art collectors who have begun investing in South Africa's art. Both corporate and private collectors are offered the opportunity to consider works that have been proven to provide value as well as those who have shown potential. Artspace's flagship event Oppitafel is an annual showcase, displaying a group exhibition project that runs each December. It is a fantastic gallery, providing an opportunity to see some of the best young art in the country. Lizamore has done a terrific job in creating a space for young artists and supporting new modern art.